Eight-story downtown salon with a jet-set editorial team, a school, a shop and an airy, serene space with refreshing views. Unparalleled, transformational mind body programs within an inspiring yet relaxing sanctuary and spa. NYC's #1 grooming authority, specializing in elevated barbering services. Expert hair color, cut, styling and Keratin services in a warm, community environment. Glam&Go brings blowouts to busy women. Full-body classes incorporating resistance equipment, kettlebells, TRX, bodyweight exercises and fast-paced cardio all set in a fun, energetic atmosphere. Love Child is a supportive community space for Expecting and New Parents. We offer Yoga Classes, Doula Services, Prenatal & Postnatal Support. The first men’s salon in NYC to offer a high caliber of full grooming services paired with privacy and the masculine environs men desire. 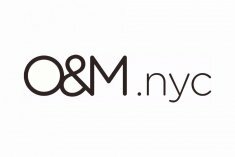 Cult Australian haircare brand Original & Mineral is pleased to announce the opening of their first US salon, O&M.nyc located in New York City’s Meatpacking District. SoulCycle Chelsea features a 58-bike studio, home to the signature SoulCycle workout, and an expansive SoulCycle lifestyle boutique, selling SoulCycle’s original clothing collection. Beat Bumping. Sweat Dripping. Candlelit Yoga.